"Humans are not naturally good at monitoring highly reliable automated cockpit systems for extended periods of time," said NTSB member Robert Sumwalt. "And what do we have in our airplanes today ... highly reliable, highly automated systems." Sumwalt believes better procedures and additional training will improve the odds when it comes to preventing accidents related to monitoring and crosschecking automated cockpit systems. Bill Dana — a famed research test pilot who flew the X-15 rocket plane and other pioneering aircraft during the birth of the space age — has died at age 83. According to an announcement by NASA's Armstrong Flight Research Center in California, Dana died at an assisted living facility in suburban Phoenix. According to author Ray Locker: We take it for granted that Wilbur and Orville Wright, two bicycle-making brothers from Dayton, Ohio, flew the first airplane and pioneered the development of aviation. Their names adorn an Air Force base in their hometown; North Carolina's license plates brag about the brothers' feat on the sands of the state's Outer Banks. Show your love of flying and your support for IFA by ordering aviation-themed checks and mailing labels. 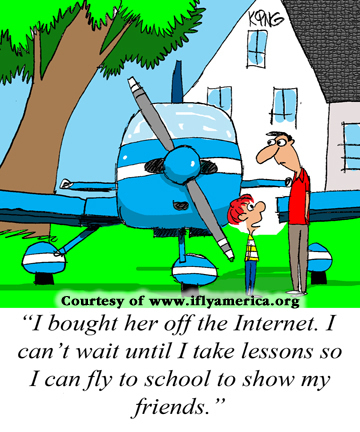 Each purchase helps to support IFA's efforts to promote flying safety, affordability, growth and fun. Plus, you'll save up to 50 percent off versus ordering checks through your financial institution. Show your passion for flying and order your favorite design today! Because so many accidents involve some form of human error, there is an understandable emphasis on strategies to eliminate or mitigate hazards that can lead to such mistakes. Even the most casual reader of publications such as FAA Safety Briefing will be familiar with tools like the IMSAFE checklist: Am I free from Illness, Medication, Stress, Alcohol, Fatigue, or Eating deficiencies that could affect my physical or mental capacity to operate safely as pilot-in-command? You probably know about the PAVE checklist that encourages a structured review of Pilot, Aircraft, enVironment and External pressures. Thankfully, mechanical problems are a far less common cause of accidents than they were in the early days of aviation. Safety and reliability are built into the design of today's certificated production aircraft, and we all benefit from these improvements. In addition, proper and consistent use of a checklist for all phases of flight is now an integral part of aviation safety culture. If you’re not already using Facebook, it's easy to set up your own free account. And, once you're on Facebook, and accessing the IFA page, you can easily invite your friends to join you as well. Visit us on Facebook and make sure to "Like" us today! Audiences at aviation conferences possess important industry insights, but pilots are often reluctant to share some of that information publicly. Recognizing that fact and attempting to overcome audience resistance, François Lassale, CEO of Morrison, Colorado-based Vortex FSM and master of ceremonies at the Flight Safety Foundation's business aviation safety summit in San Diego, used the "Poll Everywhere" online software to anonymously gather useful safety information from the BASS audience and instantly project the results for the group to view. Students from Brooks Technology and Arts Magnet Middle School in Wichita, Kansas, spent some time at the National Center for Aviation Training as part of the Flying Challenge program. The mentoring program, coordinated by United Way of the Plains and sponsored by the Airbus Corporate Foundation, is meant to challenge students academically and to interest them in possibly pursuing aviation-related degrees or careers. According to author Paul Bertorelli: I was looking through the archives the other day to see when we did our first serious coverage of electric aircraft. It was 2009 — five years ago this summer. We imagined then that production versions would be trickling to market in a few years. They aren't. But that's not to say there's not interesting progress being made in electrics and especially hybrid drive for aircraft. The FAA does not require a letter of authorization to fly a localizer performance with vertical guidance approach within the U.S. However, guidance for flying in other parts of the world–such as in Europe where the number of LPV approaches is growing — is not nearly as clear and straightforward. Despite the overall authority of the European Aviation Safety Agency, each European state has its own aviation regulatory agency that deals with approach approval.